We believe you're notable. Tell your story here. Welcome to the new relaunch of MyWikiBiz! MyWikiBiz has served the public as an openly-edited wiki since January 2008, facilitating over 2.6 million page views. The MyWikiBiz site relaunched in April 2014, removing over 150,000 pages of commercial spam content. Our new site will frustrate spammers, because we ask that new editors make a small, one-time payment of USD $5 to open a User account. That is, MyWikiBiz will be free for anyone to read, but users must pay for the privilege of editing and publishing. This will foster a better ratio of high-quality personal, business, academic, and directory content on MyWikiBiz. The 50 most-active, legitimate User accounts on site since 2008 have been grandfathered back in as free accounts with full edit rights. All other User accounts prior to the April 2014 relaunch have been closed. The management has retained a backup database of all the deleted content. If any former editors are intent on restoring their text or retrieving it for use on other websites, they may contact MyWikiBiz. Please enjoy what the new MyWikiBiz has to offer! Wikipedia editing service — The founder of MyWikiBiz and affiliated editors have authored dozens of Wikipedia-compliant articles about companies, products, and people. Reasonable prices, too! Extensions — Information on gadgets, widgets, social and other MyWikiBiz supported extensions. Water cooler — For discussions about MyWikiBiz itself, including areas for technical issues and policies. 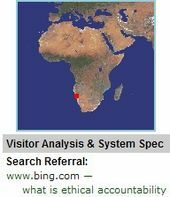 Search engine optimization — Semantic tagging information related to MyWikiBiz SEO tools, tips and tricks. Site news — Announcements, updates, articles and press releases on MyWikiBiz. 2,500,000 page views and growing! This page was last modified on 19 July 2017, at 21:37. This page has been accessed 1,768,713 times.